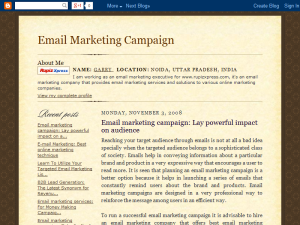 Blog Description: Advertising campaigns work. But, do all campaigns work? No, not necessarily. Some may fail also. But these days the success rate of a particular advertising campaign is growing very high, that is of an Email marketing campaign.